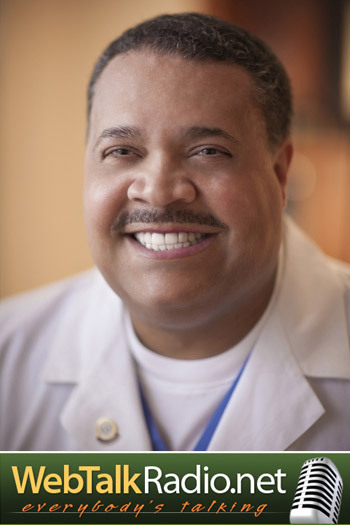 Charles E. Crutchfield III, MD is a board certified dermatologist and clinical professor of dermatology at the University of Minnesota medical school, active member of the American Medical Association, National Medical Association, and American Academy of Dermatology. Dr. Crutchfield is also involved in academic medicine – with many published research papers and a textbook of dermatology. His latest is discussed today. Talking today about Lipodissolve, an injectable procedure to reduce body fat. So today we are talking about Lipodissolve – described as a magic injection which can improve a fatty area within days… Is it really magic? To answer this question we have Dr Charles Crutchfield who is one of the world’s experts on this procedure. Lipodissolve is also sometimes referred to as Mesotherapy. Well no – it’s not magic…. BUT it is a really nice tool to reduce unwanted fat in the adipose tissue. And how long has Dr Crutchfield been involved with this? Around 7 to 9 years. Dr Lycka also has been using this procedure, after attending a course in 2003 – Dr Lycka thought this all sounded too good to be true…. but after seeing the results firsthand which were excellent, he decided to start offering it through his practise. What have been your experience and results with Lipodissolve Dr Crutchfield? We have been measuring patient satisfaction with this procedure, and have achieved between 75% to 80% patient satisfaction – patients were happy with the results they achieved in reducing unwanted fat. In fact Dr Crutchfield has recently published a paper on his research and findings – available through Journal of Clinical & Aesthetic Dermatology October 2012, and it can be found online on http://jcadonline.com/lipodissolve-for-body-sculpting-safety-effectiveness-and-patient-satisfaction/ the paper is entitled: ‘Lipodissolve for Body Sculpting’. What is the difference between Mesotherapy and lipodissolve? Mesotherapy is the general term for the injection of materials into the middle layer of the skin – and it originated in sports therapy medicine when drugs were injected into an injury to help the injured area heal faster. The process and ideas have refined over the years into different applications. Lipodissolve is therefore a very specific type of Mesotherapy – it is an injection to dissolve unwanted fat. It uses 2 refined chemicals, derived after loads of science and research, applied with very rigorous methods, to achieve its results. And talking of research, Dr Crutchfield would you like to tell us about the research paper you have published on Lipodissolve? The research was to record the safety, effectiveness and patient satisfaction of lipodissolve. It was done in conjunction with Dr Khalid Mahmud who is one of the founding fathers of this process and has been involved with this for over 20 years. A very honest doctor, this whole study has been done with no hype, with careful measurements and very honest reporting. We followed up on 1600 patients, who received 15,000 treatments over 8 years. And we recorded a patient satisfaction rate of between 75% and 80%. There have been lots of different formulations used over the years but there was no real science behind them – one of the reasons for the study. It is a series of injections using natural agents, phosphatidylcholine (referred to as PC) with deoxycholate (referred to as DC). DC is a bile acid which is secreted from our bile duct to dissolve fat. PC is an emulsifying agent (also known as lecithin) and is a major component of all of our cell membranes. The PC used in lipodissolve is actually derived from soy beans. This use of soy beans to derive PC can cause a very rare allergy to lipodissolve. In the study, 2 patients seemed to have an allergic reaction – but after further investigation, it turned out they had an allergy to soy beans. How to create 75% to 80% patient satisfaction with lipodissolve – how is it done? · This is not an instant treatment – it takes a number of treatments. · It has to be done in a VERY precise manner – performed exactly right, with the exact preparation of PC&DC, and delivered in the right areas. · As a guideline, we usually treat an area about the size of a hand – so on the flank areas for example – 1 area the size of a hand on each flank. · It is delivered by 30 to 40 small injections, carefully placed at the correct depth. · It is repeated around 4 to 6 weeks, optimally, and requires between 4 to 6 treatments. So it really isn’t a magic injection! The injections can be spread out over 2 to 3 months, but every 4 to 6 weeks seems optimum timing. Lipodissolve is a controversial subject; there are many ‘pros and cons’ to it. We have just discussed the basics of it… now we are going to talk about possible side effects and why there is the controversy…. keeps listening (and of course reading)! If someone is 300lbs, is it the right treatment for them? One of the more common typical patients is the woman who has had several children and has a tummy pooch right under the navel that no matter what they try – it won’t go away – they are ideal for lipodissolve. It absolutely is not for overall weight reduction programs. It is for body shaping, body sculpting. It is not an antidote or excuse for not taking care of yourself and not keeping in shape with a great diet and exercise. Is Lipodissolve ‘competition’ for Liposuction? No, actually it’s very complementary. Liposuction is for treating larger body areas to remove excess unwanted fat. Lipodissolve is for small specific areas. It is typical for patients to be thrilled with their liposuction results to come back for a little extra sculpting in certain areas with lipodissolve. Alternatively, many will start with lipodissolve as a preferred less invasive procedure than liposuction. However, if they don’t respond (which can happen), then they may progress onto liposuction. Lipodissolve is also appropriate when a patient wants some fine tuning after liposuction and don’t want to go back onto the surgery table! Patients appreciate having the choice of taking a non-surgical route first – if it’s appropriate for them of course. And what about side-effects from lipodissolve – what are they? People always want to know, if it’s right for them, does it hurt? 1. There can be some swelling and discomfort. The swelling lasts a couple of days to a week, rarely longer than that. To minimise that we recommend that ultrasound massage is used before and after the lipodissolve procedure. It makes the adipose tissue a bit easier to inject into, and afterwards it also allows the injected solution to smooth out and be distributed evenly, which therefore makes the reduction in fat to be more even. It also makes it a more comfortable procedure. 2. Patients can get nodules and dimpling. They get much less if the ultrasound massage is applied after and anyway, they do go away. It can be typical to feel them but not see them. This side effect is also common after liposuction – but remember – it does go away. 3. Dark areas can also appear sometimes. This is from the underlying inflammation causing hyperpigmentation, it can last several months and applying a topical medicine will make that go away. One of the biggest concerns is ulceration in the area treated. This occurs as a direct result of ‘operator error’ – incorrect placement of the solution. As we highlighted in the research paper, lipodissolve must be done precisely by a skilled person who knows what they are doing. In the study there were 3 cases of ulceration recorded – however, one of those 3 had Lupus and didn’t report it. Avoid anyone who is pregnant, anyone with diseases such as heart disease, kidney disease, anyone who is diabetic, a history of infections, anyone with an auto-immune disease such as lupus. Also to avoid bruising, patients must come off any anti-inflammatory drugs or aspirin for a while before having lipodissolve. Finally, also avoid anyone with a soy allergy. It is so important to highlight that this is a medical procedure, and everything has risks but done properly with suitable patients it records safe and effective results, as per the research results. It’s also true that there are some doctors who are vehemently opposed to lipodissolve. There seems to be a lot of mystery surrounding the procedure, with too many unfounded strong emotions, which are not always tied to scientific reality. Another reason why Dr Crutchfield and Dr Mahmud decided to write the paper from their studies. From their studies – they are not seeing problems – it is safe, effective and patients are satisfied with the results. It is one of the largest studies looking at safety, effectiveness, satisfaction and side effects. It is important to note that when considering the results of research studies that one looks at who is doing it, how they are doing it, why they are doing it and whether they have a vested interest or not. Is the FDA opposed to Lipodissolve? This is one of the biggest attacks by opponents of lipodissolve is that it is not FDA approved. HOWEVER – these solutions are based upon nutritional supplements, which can be bought everywhere, are in every candy bar, and in every cell membrane. The FDA does not regulate nutritional supplements, so Lipodissolve does not come under the regulatory influence of the FDA – so it is a highly misleading argument that Lipodissolve is not regulated by the FDA. In the past, the FDA have said that in the future they may review injectable nutritional supplements BUT at this point, lipodissolve does not come under their regulatory influence / scope. It is also important to note that the FDA have looked at Lipodissolve and their concerns were with the marketing of it, with people making false claims and so forth. Any final advice for our listeners? · Make sure you see a physician before the procedure to make sure it is appropriate for you. · Make sure the doctor performing Lipodissolve has the experience in doing it properly, that they know what they are doing and what has to be done very precisely for the procedure to work and give the desired results…. and avoiding the side-effects. · Understand all aspects of the procedure and understand that, with any medical procedure, there can be side effects and levels of risk, as well as, benefits.